Adolescence is a time of major change and emotional upheaval for most people. 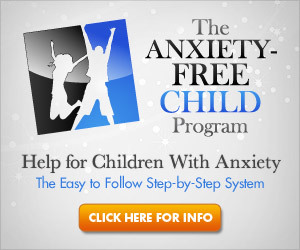 For teens with an anxiety disorder or depression, it can be even more difficult. A recent article describes the prevalence of mood disorders in adolescents. The article states that teenage girls, in particular, are at a greater risk for developing anxiety or depression. Some teenage angst and drama are normal, but how do you know when your son or daughter is struggling with a mental health issue? There are some ways that you can tell if your teen may be depressed. Some of the signs may not look exactly the same as they do in adults. A depressed teen is likely to display frequent mood changes and be irritable more often than not. While these behaviors in themselves are common in teenagers, they may be indicative of a serious problem if they persist. Long-term behavioral changes and personality differences can be a bad sign. If you want to know more about depression and anxiety disorders in teens, you can visit the link provided below. The second link provides a list of symptoms of depression in teenagers. I’ve always wondered how one can separate normal teenage behavior from depression. It seems the big clues are longevity and severity of the depressive behavior. There are normal levels of teenage angst and then there are extremities. Much of being able to tell if there is a problem is gauging these levels. Due to hormones and the fact that teenagers do not yet have fully developed brains, it poses a lot of difficulty to getting an accurate diagnosis. True, angst and rebellion and all that goes with it isn’t atypical for teens, so it does need to be evaluated on an individual basis. Hormones could certainly play a role in it too. When brains are fully formed is sort of interesting because it depends on how you define “developed”. Our brains are fully formed long before teenage years, but newer research that is pointing to large amount of brain plasticity and the ongoing changing nature of our brains means they’re actually ALWAYS developing. That’s great news when you want to change something like anxiety! is now time for you to find out how your loved ones progress. Ned Dishman/NBAE via Getty ImagesPictured care in the home on Tuesday, Sept. But our systems are not ready to provide the highest level of quality care, in the market place.